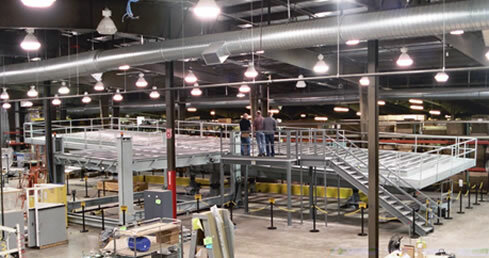 Over the years Everett Engineering, Inc. has taken on many complex projects. 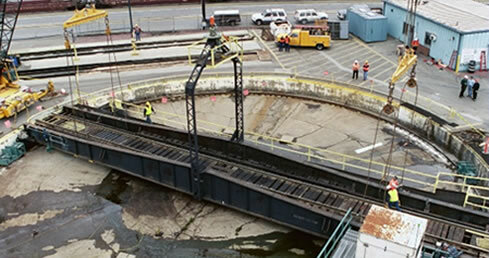 The pictures below showcase the diversity of the type of work and capabilities of our crew! 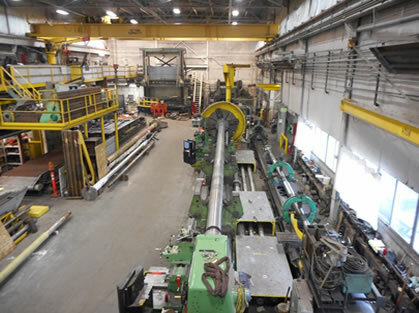 Please feel free to contact us for more information on any of these projects or a consult on your specialized design/build project. 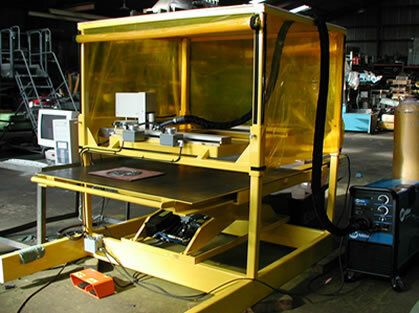 A series of these machines were made for a concrete vault manufacturing company for their vault lids. 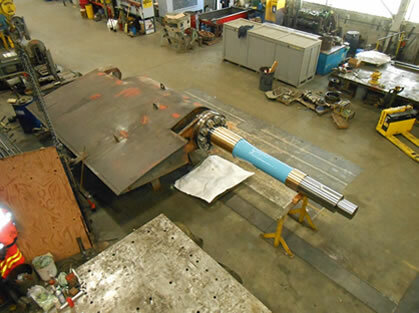 This is a full 3-axis welding machine. 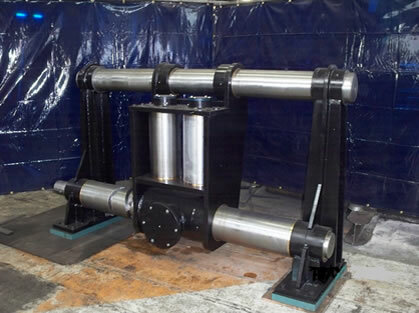 The die lifter is used to pick up the press dies in the facility and be able to separate the two halves for cleaning and inspection. 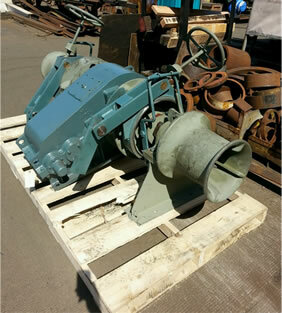 This unit is not only a lifting device, but will also turn the top half of the die over once it is in the air. 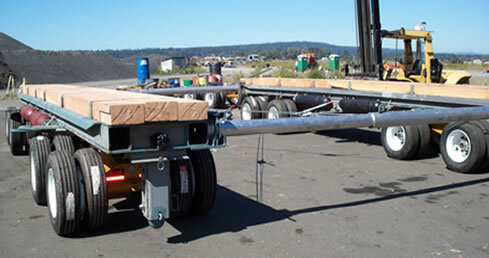 This platform is designed to pitch, roll and yaw to about 3 degrees in all directions to simulate aircraft movement in order to test the locking mechanisms of the cargo storage containers. 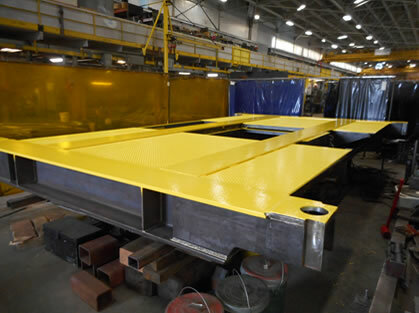 This was designed, fabricated and installed on the customer's premises. 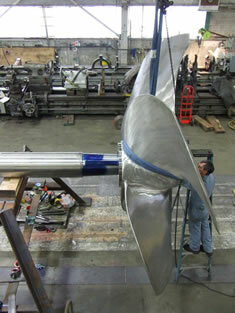 A similar one was made that all of the pieces were able to be brought in through a man-door for installation. 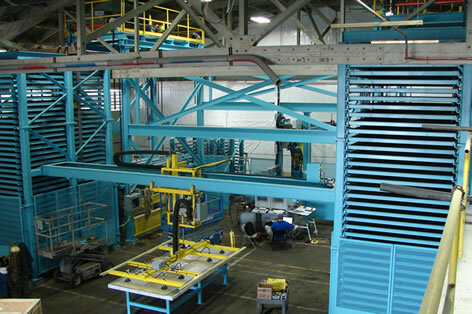 This automated sorting rack system is designed to feed material to a press for composite material manufacturing. 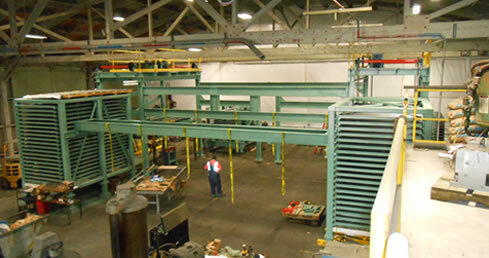 This is the redesigned platform for a lift that is used to move press dies about the facility. 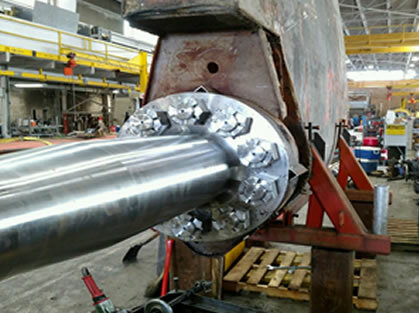 It was found that the welds were failing and the customer wanted to increase the safety factor to prevent injuries in their plant. 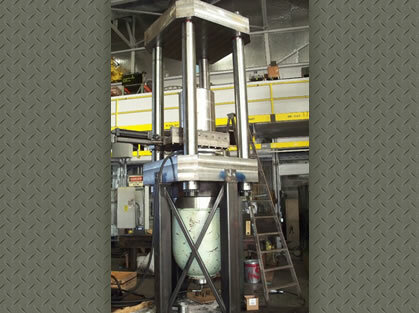 Designed/Built a lead wire press that is used to make continuous lead wire. 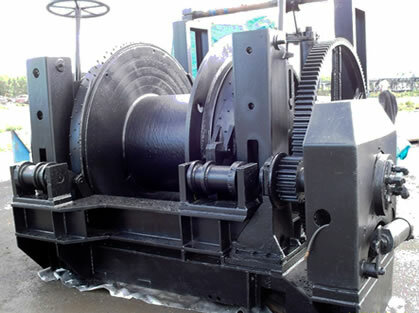 Modify and/or rebuild large marine towing winches, anchor winches, and levelwinds. 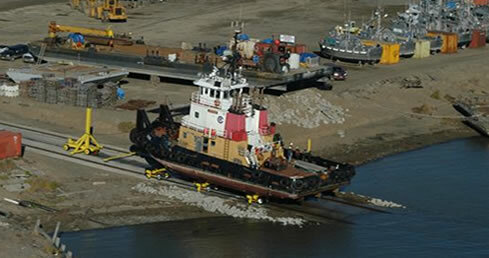 Designed and built a 600-ton barge haul-out facility. Picture 1 of 3. 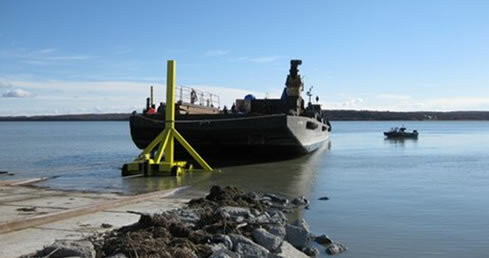 Designed and built a 600-ton barge haul-out facility. Picture 2 of 3. 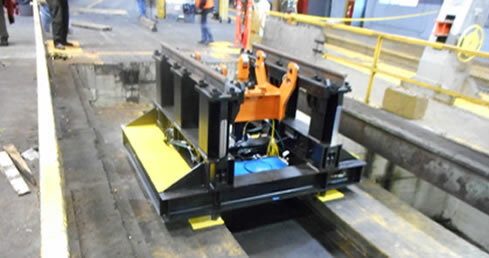 Designed, fabricated, and installed a new transfer table top for train switching yard. 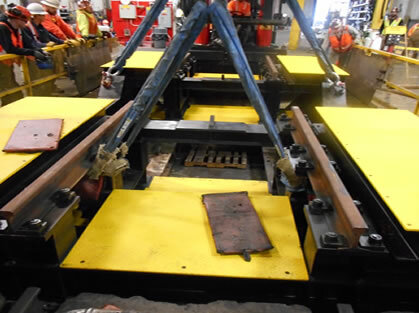 Designed, fabricated, and installed new traction motor drop table at railroad switching yard. Picture 1 of 2. 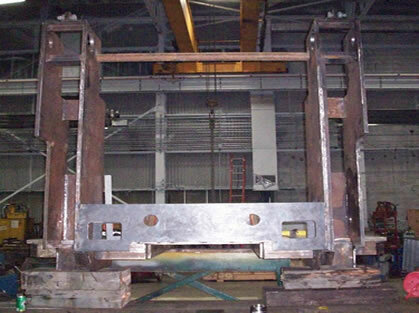 Designed, fabricated, and installed new traction motor drop table at railroad switching yard. Picture 2 of 2. 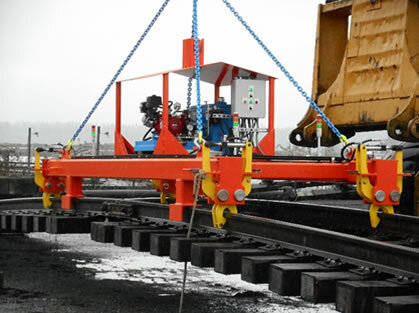 This lifting device was designed and built to pick up and move or place an 80 foot section of assembled railroad track and be operated remotely from the cab of the crane. 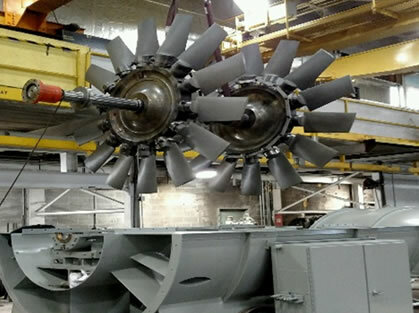 After a catastrophic failure of the fan blades in this fan, we redesigned the blades and made them from solid billet aluminum and rebuilt the fan housing to be restored to service. 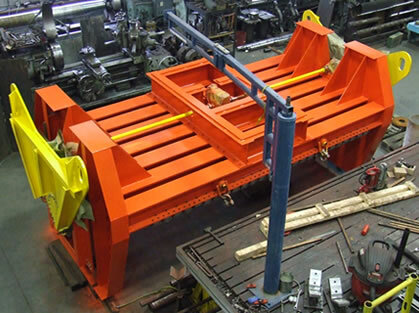 We redesigned and fabricated the wheel carriers for this railroad turntable and helped install them.